Is your opponent on three fouls? Did you tell him? Billiards Buddy will make sure you do. Who won that game last week? Use Billiards Buddy to keep track. 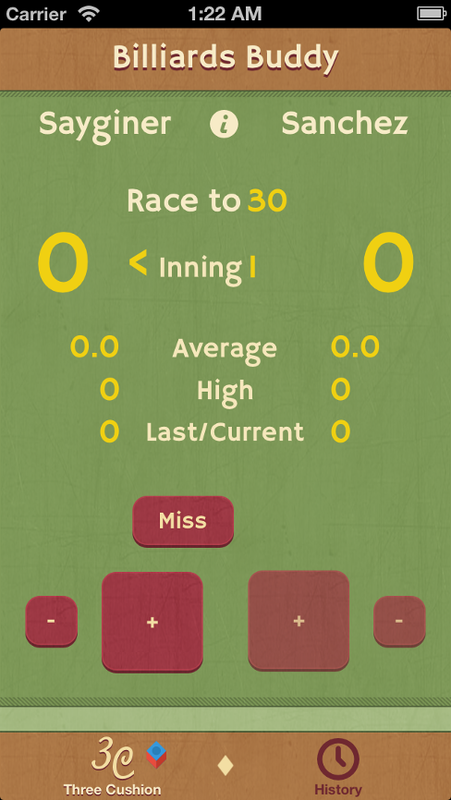 Coming soon, Billiards Buddy Table Layout. A table diagramming tool for iPhone and iPad. Don't just remember your scores, remember exactly where the balls were! 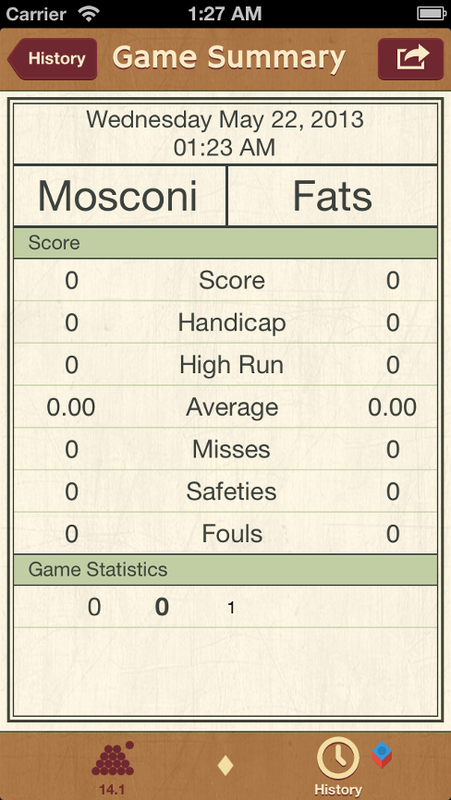 “ This app gets five stars, and I applaud the developer for providing what the sport has needed for years - a way to accurately score a game and provide stats. " Billiards Buddy keeps track of all your statistics. If you are a straight pool or three cushion player, you will now know exactly what your average run is. 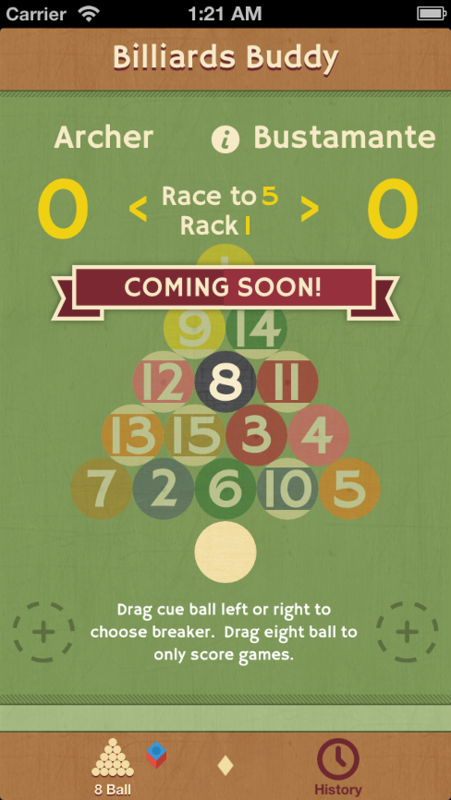 Coming Soon: If you are an eight or nine ball player, you will know your break and run percentage. No lying to yourself! Coming Soon! 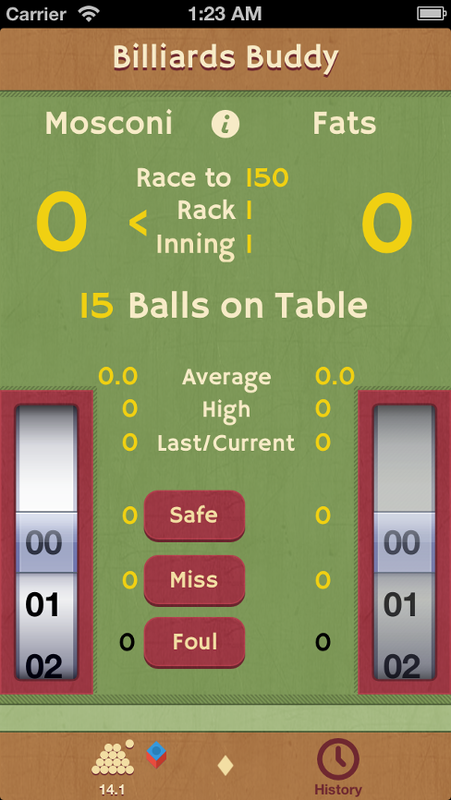 With the new Billiards Buddy Table Layout app, you can visualize games on your iPhone or iPad. Drag balls into position. Double tap a ball to create a new ghost ball to drag. Triple tap to delete. You can also tap the balls in the menu to select them. Tap repeatedly to select ghost balls.